Premium quality black stripping pad is highly durable, and offers consistently high productivity gains in stripping applications throughout it's long life time. 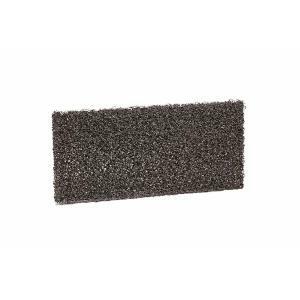 Floor pad designed for extra heavy duty cleaning and stripping from skirtings and floor edges. The flexibility of the pad also brings a range of benefits, such as conformability to uneven surfaces, and ease of wash after use. For use with Doodlebug Pad Holder.